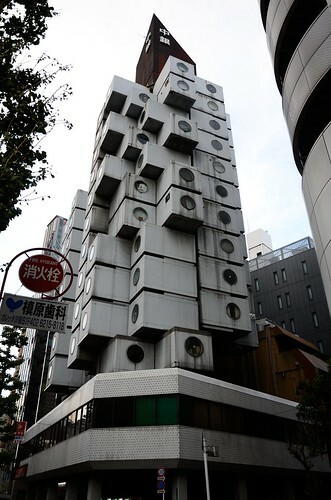 This apartment/office building was designed by Kisho Kurokawa. Each box-shaped unit can be replaced. But no unit has been replaced since it was built in 1972.